- Victor Conte talking about the fact that he is still working with Dwain Chambers and has him using a $1300 hypoxicator, which stimulates EPO production (and apparently a 6.42). I don't like the Letsrun frontpage... I prefer the old setting. Anyone with me? Should I profess my love and admiration to a girl I know? Kenya Rules Out Sacrificing Some Runners For Others At World XC - Additionally, last year's 4th placer at world jrs has been added to the team. Italian Distance Runner Roberto Barbi Gets Lifetime Doping Ban He's tested positive 3 times. LRC The Week That Was This week we talk about cheating in Tallahassee, the world's most famous cheat named Dwain, Germany's answer to Bob Beamon and a busy week for Doug Logan. Plus our quotes, videos and photos of the week. Sebastian Bayer Is Germany's Modern Day Bob Beamon *LetsRun User Links To Sebastian Bayer Photos Bayer jumped the second-longest indoor Long Jump ever out of nowhere in Turin on Sunday. Video Interview With Australia's Ryan Gregson Gregson settles the LetsRun debate as to who is better right now, Gregson or German Fernandez. *Article On How Dwain Chambers' Book Could "Set Athletics Free"
After Injury & Bereavement Sentayehu Ejigu Eyes World XC Champs She's the one that beat Flanagan in Boston. Fam, J. Torrres, D. Browne, Dobson, De Reuck, Dryer, Rudolph and Yoder Begley. Sebastian Bayer Is Now Giving Mike Powell Sleepless Nights "Once anyone starts jumping 8.50 or 8.60, I feel that they can break it so I've spent many sleepless nights waiting for results to come over from European meetings." Back In The Limelight: Geb Attempts To Blast Wanjiru's Half Marathon Record This Weekend If Geb can get his record back, it would be his 27th World Record. 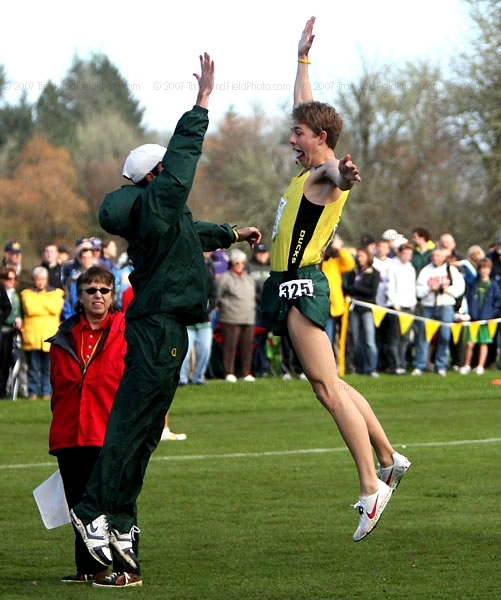 Ryan Hall will be there too, tuning up for Boston. has pulled out of the race. Excuse Me Doctor, Will Music Help Me Run Faster? We save you a trip to the Dr.